I’ve always loved this simple plant light but wanted a few more lighter colours. I chose marble and stone textures and added in a ceramic and gold too. Unfortunately Tamamaro’s original CC plant light no longer seems to be available online, I have uploaded their original so my recolours will place in game and you can enjoy their lovely original colours too. 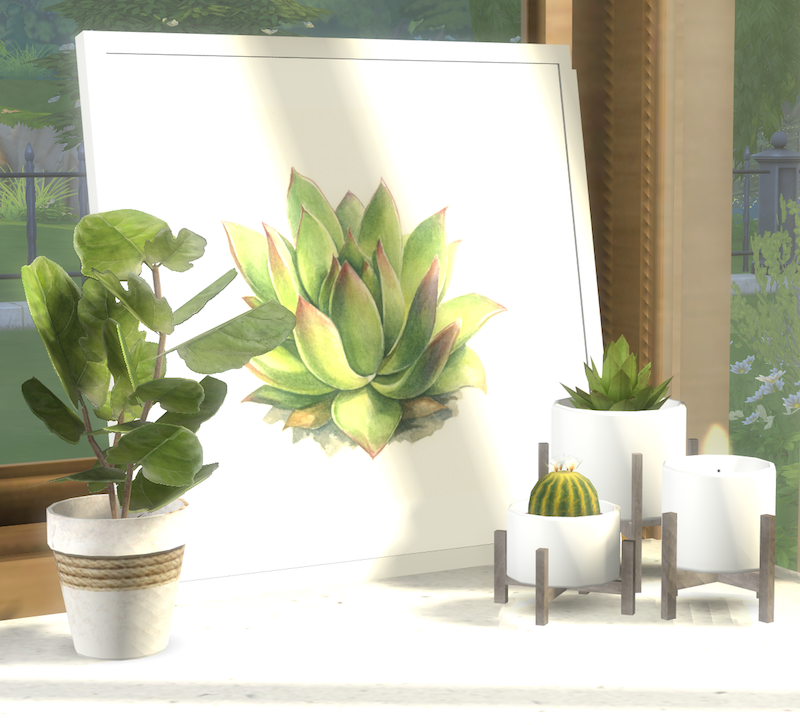 You can find a viewable link on the Sims 4 Updates page here. 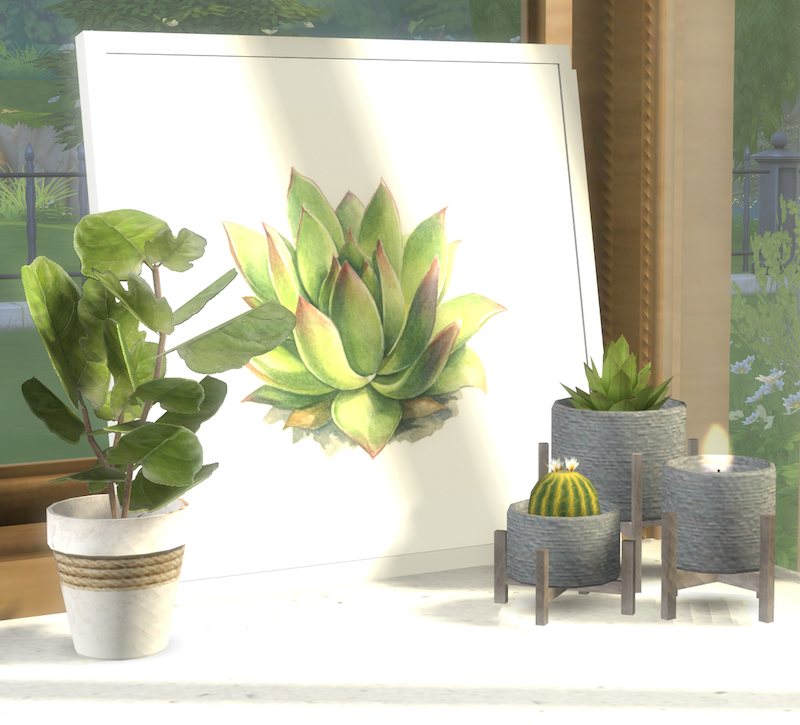 You will also need the The Sims 4 Perfect Patio Stuff Pack installed for this light to place. Recolours made using Photoshop and Sims 4 Studio.